Hi everyone! It’s Thor here. 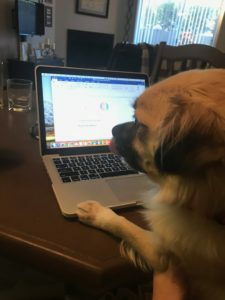 Mom’s letting me take over the blog again. Last time I wrote about being made fun of about my lack of thumbs, but you know what else is a real pet peeve of mine? When people say it’s easy being a dog! Does anyone KNOW what I do in a day? I am an incredibly busy guy. To prove it, I’ll take you through a day in my life. 6:00am: Mom gets up. Why does she need to get up so early? I wonder. I consider getting up with her, but know that dad’s not getting up for awhile. I decide to stay snuggled in. 7:30am: Dad gets up. Sigh. I guess I better get out of bed. I get up and IMMEDIATELY start bugging Mom to go outside. When a guy’s gotta go, a guy’s gotta go! 7:32am: We go outside for our morning potty walk. I am deathly afraid of those convenient dog poop stations at our apartment, so Mom has to bring her own poop bags. I don’t care. She doesn’t know how dangerous those poop stations are, even though I’ve tried to tell her like 100 times. It’s hard to get through to her, you know? 7:40am: Now that I’ve pooped, it’s like I have ALL THE ENERGY. I feel like a new man, so I start running around the house chasing Ball, my orange ball/low-key best friend (besides Mom of course). 7:50am: Mom and Dad are eating breakfast, so I must also eat breakfast – they say family mealtimes are critical to healthy family relationships, and I believe that. I carry small mouthfuls of food from my bowl to Mom and Dad’s bedroom floor and eat them there. Idk, I think food tastes best eaten off of carpet. 10:00am: Haven’t bugged Mom in awhile. I don’t really NEED to pee that bad, but I can’t have her forgetting that I exist. I make whining noises until she takes me out. SUCCESS. 11:50am: Dad always comes home around noon. I know this, so I start circling the door, listening for the sound of his car door. 11:51am: Where is Dad? I get antsy. He is probably dead. It’s over. I’m fatherless. 12:45pm: Dad goes back to work. I go back to napping. 2:30pm: It’s time for my afternoon check-in with Mom to make sure she’s paying attention to me. More whining, another walk outside. 3:00pm: Riding that post-poop energy burst, I get Mom to chase me and Ball around the apartment while I growl and snarl and sound super scary. I AM super scary, you know. That’s why Mom and Dad named me Thor. Duh. 4:00pm: Mom went to get the mail, so I go snack on the vertical blinds in her office. So chewy. So fun. 6:00pm: Mom leaves for her workout class. I die inside. She is never coming back. 6:30pm: DAD’S HOME! I tell him about Mom and how she left forever. He doesn’t seem alarmed. What is wrong with him?? Obviously I love her more. 9:30pm: This is my gosh darn bedtime and I don’t care what anyone says – I AM GOING TO BED. I go to Mom and Dad’s bed and flop down. No one is there to turn down the sheets so I sleep on top of the covers. It’s not that comfortable, but whatever. 10:00pm: Mom and Dad finally come in and pull back the blankets so I can get under and snuggle by their feet. I love snuggling with Mom and Dad. It’s the best! 12:00am: HI MOM. I shake my collar just to remind her that I love her and I am in her bed snuggling by her feet. She doesn’t look impressed. 5:00am: Repeat. Does she know how loved she is??!?!?!?? 6:00am: Time to start it all over again. Exhausting right?? And I don’t even have THAT much going on – imagine if both of my adult humans were home all day AND we had a cat to chase! Gosh, I don’t know how I’d do it. I hope this makes you think. Next time you meet a dog, don’t just assume they’re napping all day because they’re lazy. Thank them for all of their hard work, making their humans happy and keeping them busy. We’re unsung heroes, you know. Have you ever felt like you have every reason to be joyful – but just aren’t? That’s where I’ve been at lately. 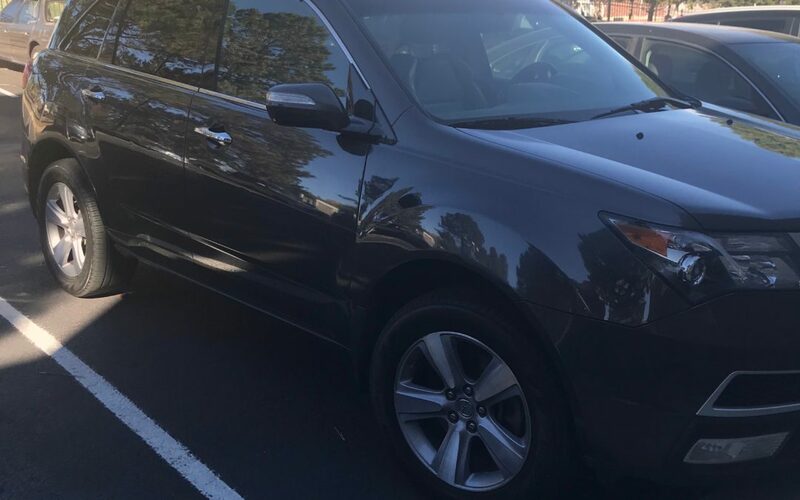 God’s been coming through for us in amazing ways (see my post about our new car) and life is good, but I’ve been struggling to feel okay, you know? I just feel like there’s a cloud over me, like I can’t quite pull it together in every aspect of my life, and it’s exhausting. I’ve felt this especially when it comes to eating. If you’ve known me for awhile or follow me on social, you might know that I’ve lost almost 50 pounds in the last two years, all through following Weight Watchers. While I am forever thankful for WW, I recently decided to move from Weight Watchers to eating a paleo diet, in the hopes of transitioning from weight-loss mode to sustainable-life mode. Before I quit WW, I really thought I’d finally worked out a healthy relationship with food, and now it was time to take off the training wheels and enjoy a healthy lifestyle. While I thought that quitting Weight Watchers and no longer tracking what I ate would help me feel less restricted and less stressed about what I ate, it’s actually done the opposite. These last few weeks, I feel like I’ve been thinking way too much about food: what’s in it, what I should be eating, what I shouldn’t have eaten, etc. Because I’m not tracking points, I’m constantly worried about whether or not I’m eating too much protein or fat or sugar. This makes me automatically go into “Omg I’m going to gain back all of the weight I’ve lost” mode. Not a good place to be. I have this bad habit (I think many Christians do) of excluding myself from scripture that seems too extreme. I’m not wicked; murderers are wicked. I don’t need freedom; drug addicts need freedom. You know? That stuff is for people with real problems. But as I walked and sang this song to myself, it hit me: I was feeling imprisoned by food and my relationship to it. But I didn’t need to be – I already have freedom! While I’m still struggling to work out what life post-WW is going to look like and what a healthy relationship with food is, the idea of freedom in Christ has brought me so much comfort and joy through this last week. I am not chained to anything in this world because my God has overcome the world, and with His help, so can I. 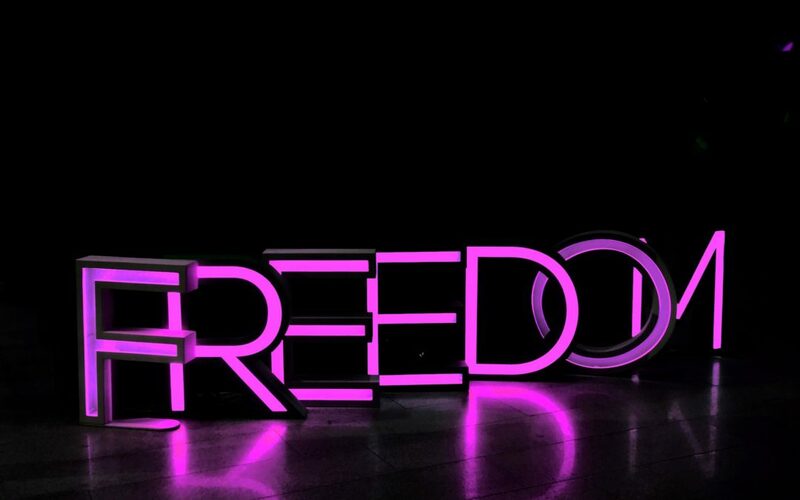 Whatever you’re going through, whatever you might feel is imprisoning you, whether it’s a relationship, an addiction, a temptation, sin, or something else, remember – there is freedom! God already kicked down the prison walls and set you free. You just need to leave the prison behind. The year was 2016. It was Christmastime, and I knew I had to change something about my life. 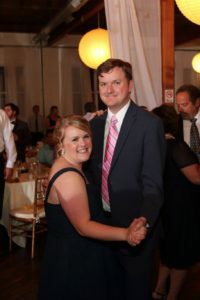 That past July, I had gotten married and moved in with my husband. I was completely, for the first time in my life, 100% in control of my life and of what we ate. And yet, I had only gained weight since we got married. I thought I was doing an okay job of eating healthy, but obviously something wasn’t working. This wasn’t the first time I’d had trouble with my weight; I’d struggled with it all of my life. Never feeling completely in control of it, I’d resigned myself to a life of struggling with food, emotional eating, and maintaining a healthy weight. 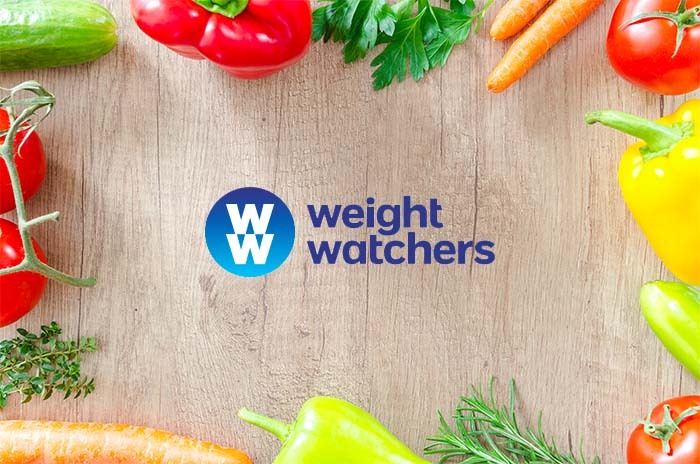 After seeing a ton of commercials for Weight Watchers and knowing some people who had tried it, I bought my membership at the end of 2016 and started the program on New Year’s Eve. It was nothing short of life-changing. I’m a very data-driven person, and so “eating healthy” always seemed too nebulous to me – how was I supposed to know what “healthy enough” looked like? Somewhere, there had to be a sweet spot between only eating kale and living on pizza; I just didn’t know how to find it. The WW point system was exactly the guidance I needed. It taught me what balance looked like; I could budget my points for a night out by eating healthier earlier in the day, and feel good about a few cocktails or dessert because I knew I had the points for them. It also taught me what healthy eating looked like. I hadn’t realized how many of the “healthy” foods I was eating were packed with hidden sugars and calories. The point system opened my eyes to living a balanced lifestyle, and with it, I excelled. I lost 40 pounds within about a year and a half, and felt amazing. …and 40 pounds down. I’m the one in the floral (I know, we all look the same). Fast forward to earlier this year. I’d been yo-yoing between the same five pounds or so for months. I was hitting a bit of a plateau, which is normal, but was also struggling with waning motivation and a schedule which didn’t allow for eating perfectly-prepped meals at home every day like I was before. In addition, I’d been struggling with some skin and stomach issues. A friend of mine recommended trying the Whole 30 to figure out if the causes of my healthy issues were dietary, and I hoped that the program would not only give me some answers but would kickstart my motivation to eat healthy. Whole 30, for those of you blessed souls who have not yet tried it, is an elimination diet that eliminates just about anything that could cause your body to be unhappy, including sugar, grains, beans, dairy, soy, and alcohol. You go without them for 30 days, then slowly reintroduce them to figure out which, if any, are causing trouble. I went without coffee, spent way too much money on Whole 30-approved sugarless bacon at Whole Foods, and stuck to the program (I quit a little early though because I was moving and also was tired of not eating beans). At the end of the program, I learned that I needed to avoid dairy completely, and that beans probably weren’t my best friend (sadness! I love beans!). But the biggest wake-up call of Whole 30 was eating real food. Because of how Weight Watchers calculates points, it tends to be of benefit points-wise to eat fat-free, sugar-free foods. Fats like oils, nuts, and dried fruit have high point values, so when I was on Weight Watchers, I largely avoided them in favor of fat-free vinaigrettes and other low-cal snacks. Whole 30 was a refreshing change. I was eating fresh fruits and veggies, lots of nuts, real fats, and meats I normally avoided on WW, like pork and beef. After Whole 30, I tried to go back on Weight Watchers while incorporating some of what I learned from the program, but struggled with consistency and motivation yet again. I was tired of counting points and constantly stressing about staying within my points limit even though I was feeding my body with good stuff. I felt like the point system had become a burden, not a tool. That’s why I’ve decided to go Paleo, or rather, Paleo-ish. Paleo means something different depending on who you ask, but for me it means no grains, soy, dairy, beans, and limited added sugars. I know that sounds terrible, but so far, I’m absolutely loving it. I’m eating food that tastes good, fueling my body well, and still losing weight. When I splurge one day, I don’t seem to have a problem getting up the next day and getting right back on track. They say the best diet is the one you can stick to, and I think that’s absolutely right. After almost a two-year weight loss and health journey, I think I may have finally found my perfect fit. Don’t get me wrong; I still love Weight Watchers. I feel that it’s an amazing tool for anyone who is struggling to lose weight or has no idea where to start, and I highly recommend it to anyone who asks me how I’ve lost weight. I just feel like it’s no longer the right tool for this next season of my life. Anyone else Paleo? Or a Weight Watchers fan? Tell me about your experience. Letting go. These two words represent the impossible for me. How does one just “let go” of what they can’t control? I don’t get it. I’ve never been any good at it. Instead of “letting go,” I usually put my worrying into overdrive about the things I can’t control – after all, as I like to say, someone’s gotta do it because those things won’t worry about themselves. This last week or so, God really tested my ability to let go and let Him. He wrestled an impossible-to-control situation out of my hands, took it over, and guess what? It worked out better than I could have prayed for. The Friday before last, my mechanic called me and gave me the diagnosis on our pickup truck: it needed work. Expensive work. It had been steering funny and had even locked up on Brandon completely while he was driving once, which was pretty concerning. The only solution, the mechanic said, was to replace the steering rack, which was going to be a lot of money, especially since the truck was almost 20 years old and wasn’t worth too much more than the repairs. We talked to a few of our good friends who know a lot about cars, and they advised us to try to sell the truck without making the repairs. They figured that pickup trucks like ours that are older but in impeccable shape would be in demand and that we could get a good price even with the steering issues. We were torn. On the one hand, the truck wasn’t the most practical vehicle for the season of life we were in. 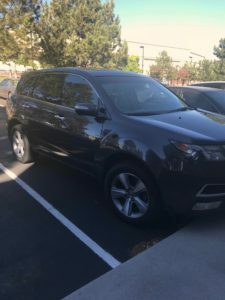 It wasn’t practical to park or drive in the city, didn’t get good gas mileage, and we wouldn’t be able to put a baby in it, which was a consideration since I have been informed that Brandon MUST have a child by the time he is 30 or he WILL DIE. The truck. Brandon calls it “The Red Baron” but I can’t call it that without laughing. Meanwhile, one of my car-savvy friends was selling a SUV for a friend. It was in perfect shape, incredibly well-maintained, and had high miles but a lot of life left in it. It seemed to meet all of my practical criteria (good setup for far-in-the-future Baby Tay/Brandon, safe and well-taken-care-of) and my diva desires of Bluetooth, a backup camera, and Driver 1 and Driver 2 settings so I didn’t have to try to figure out how far to move my seat back every time Brandon drove my car (he’s a foot taller than me – it’s a real challenge). But it had already gotten a lot of interest from potential buyers. And the price tag was only feasible if we could sell our truck for a decent price. On Sunday, I prayed to God that I was officially letting it go. All the stars would have to align for us to end up with our friend’s car. And if they didn’t, we were meant to repair the truck and keep driving it. Then, I actually LET. IT. GO. I felt peace as I accepted that God knew what our needs were, and gave Him my trust that He would meet them. After some spammy inquiries from Craigslist people, a real live prospective buyer contacted us on Wednesday. The husband needed a pickup truck to drive to work and work on weekend projects, and ours was the only one they had found in their price range. He had a short drive to work so the steering issues wouldn’t need to be fixed immediately, and he knew someone who could fix it for pretty cheap. When I received the inquiry, I prayed for the wisdom for us to do the right thing, whether it was accept a low offer, refuse to sell, or do something else God had planned instead. I prayed for us to act out of faith, and not out of our own motivations. 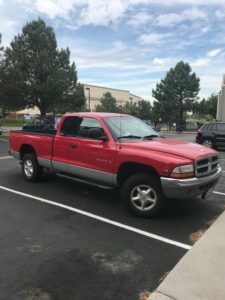 The husband and wife pair drove over an hour from Colorado Springs to meet us that evening at the house, took a look at the truck, and offered us the exact amount we would need to make buying the SUV work. They had the cash in hand, we signed over the documents, and within two hours they left with the truck. On top of it all, they were also Christians. 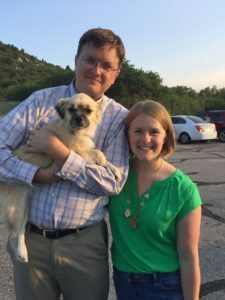 They’d spent a lot of time in missionary work, and while Brandon and the husband were taking the truck for a test drive and getting the details settled, I got to have a wonderful conversation with the wife. They even prayed over us before they left, praying for blessings over our new life in Denver. Floored by what had just happened, I immediately texted my friend as soon as they left about the SUV. Was it still available? And would the seller be willing to work with us on payment a bit to ease the crunch of buying a new car unexpectedly? The next morning, I got a response – yes, the SUV was still available. We could pick it up that day, and the seller (who was also a friend) was willing to stretch out paying the full balance over the next couple of months to ease the burden on us. Thursday afternoon, we signed the docs and drove away with a new car, perfect for our needs. The new ride! She prefers to be called Stella. What had seemed like an impossible pickle just six days before had been beautifully resolved. We were able to sell Brandon’s truck quickly and for above book value, our friend’s car hadn’t sold despite being a hot commodity, and we were able to afford the car with what we made from the truck plus some savings we’d stashed away for a situation exactly like this one. Can you believe the God of the universe can accomplish more in His power than my worrying can? I know, I was shocked too. Isn’t God good? Like really good? I imagine what would have happened if I’d gotten my hands into things. I’d probably have aggressively promoted the truck on Facebook, hoping to sell it. We might have sold it quickly but for much less than we needed to buy the SUV, or we might not have sold it at all. Or maybe we might have gotten impatient with selling the truck and just repaired it, and our friends from Colorado Springs wouldn’t have ended up with the car they needed. Regardless, it’s clear that things worked out the way they were supposed to because I just LET GO. I’m writing this partly because God’s telling me that someone needs to read this today, and partly because I need to document this as a reminder to myself to LET THE HECK GO and let God do His thing. As I publish this, I’m already feeling a strong case of the Sunday Scaries coming on – you know, that anxiety you get on Sunday as you start looking toward the week ahead. I’m going to try myself – and I encourage you – to let Go and let God this week. Also, a quick shoutout to my husband who officially passed the Colorado Bar and is now a licensed attorney!!! I am so proud of him and all of the hard work he put in to get here. Wishing you a blessed week. Whatever you’re facing this week, God’s got it! Hi everyone! Thor the Pup here. 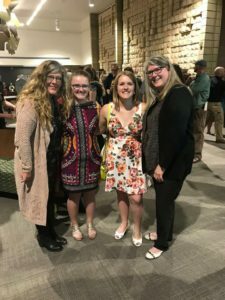 This is my mom’s blog, but she’s letting me guest post here every once in awhile. 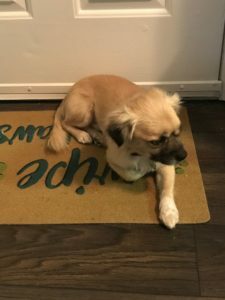 A little bit about me: I’m a one-year-old Pekingese mix (Pomeranian, maybe? ), and I’ve been part of the family for about two months now. 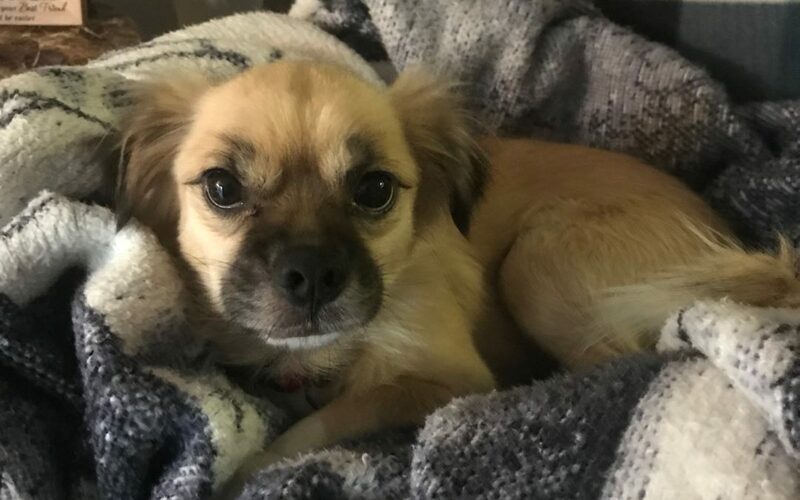 Mom and Dad don’t know much about my past, except for that I came from New Mexico and lived in Colorado Springs with my foster mom and dad for about a month before Mom and Dad adopted me. My adopted name was Macdonald, but Mom and Dad thought Thor was way cooler. I agree; it makes me feel tough, you know? Macs are where it’s at. PCs are for peasants. I love meeting new people and pups, chasing my ball, and snuggling under the blankies near my parents’ feet while they sleep. And MOM. MOM IS LIFE. I’m a little clingy to my mom, but let’s be real; she kind of loves it. 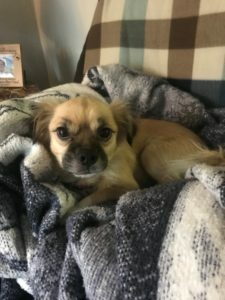 Anywho, Mom said I could guest post here about anything I wanted, but it turns out she’s a liar (MOM I STILL LOVE YOU THOUGH). I wanted to post a scathing editorial on the Kavanaugh hearings, but Mom said that might be a little heavy for my first post, so instead I’m writing about something that really gets my hackles up: my thumbs, or lack thereof. I love my parents, but for some reason they find it absolutely hilarious to make jokes about how I don’t have thumbs. They’re always saying stuff like “Thor would help make dinner, but he doesn’t have thumbs” or “Thor, folding laundry is only for people with thumbs.” Stuff like that. You know, I never thought about not having thumbs until they pointed it out. I can do plenty of things with my paws, like grab my ball…and that’s all I can think of, but whatever. That’s all I felt the need to do, until Mom and Dad pointed out all the things I CAN’T do. Now I’m all insecure about my thumb-less paws. How am I supposed to bake a soufflé or handwrite a letter or play UNO?? I can’t! It really limits my ability to learn new hobbies other than ball-chasing and licking my rear. And being constantly reminded of the fact that I don’t have thumbs makes me worried that I’m a dog (GASP) and not a people like Mom and Dad always act like I am. Mom and Dad are great, but I’m gonna need them to lay off the no-thumbs jokes before I lose it. I have an idea!! Every time you see my mom, will you make fun of her for not having a tail? I think that’ll show her. Meanwhile, I’m gonna learn how to bake a soufflé sans thumbs. Let me know if you have tips. PS – Guys I have my own Insta!! 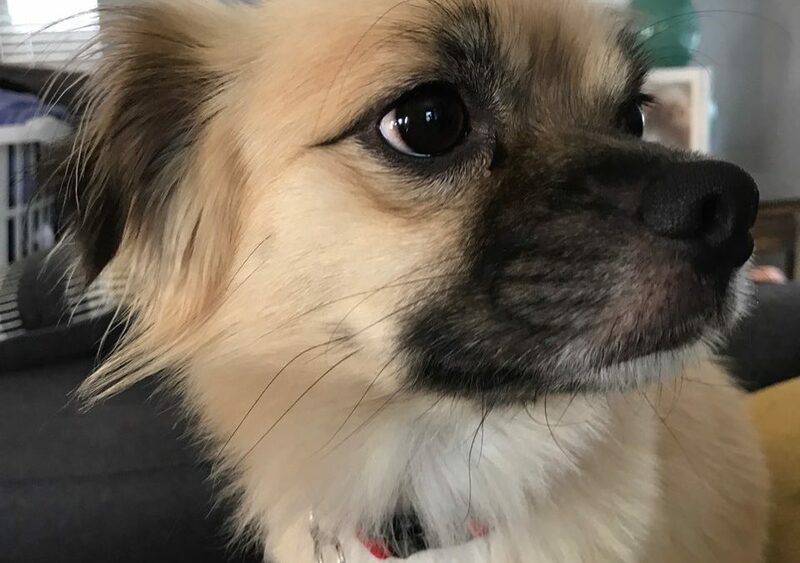 You can follow me at @smalldogthor.